The dad first took to Reddit to reveal his diet and since he went public with the eating plan, it’s already become one of the most popular diets for 2019. The dad shared the diet has helped him lose 12kgs, “Everything is available from ALDI, and if you stick with it for 10 days with no mistakes you will lose as much as 10kg,” the dad reportedly posted to Reddit. “And for the 10 days, it’ll only cost you around $80 or just $8 a day which is awesome,” he added. 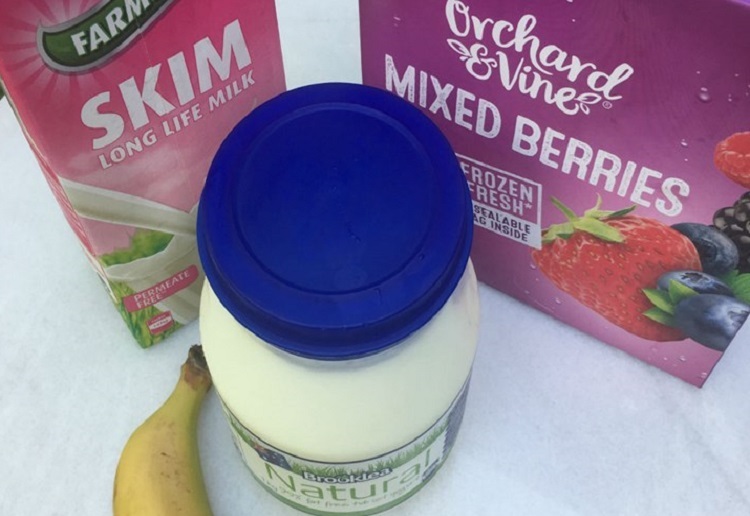 The simple meal plan involves starting with a berry and banana smoothie for breakfast, made with skim milk and 99% fat-free yoghurt. Morning and afternoon tea is either one carrot or one apple, while lunch is a Slim & Trim meal replacement bar. 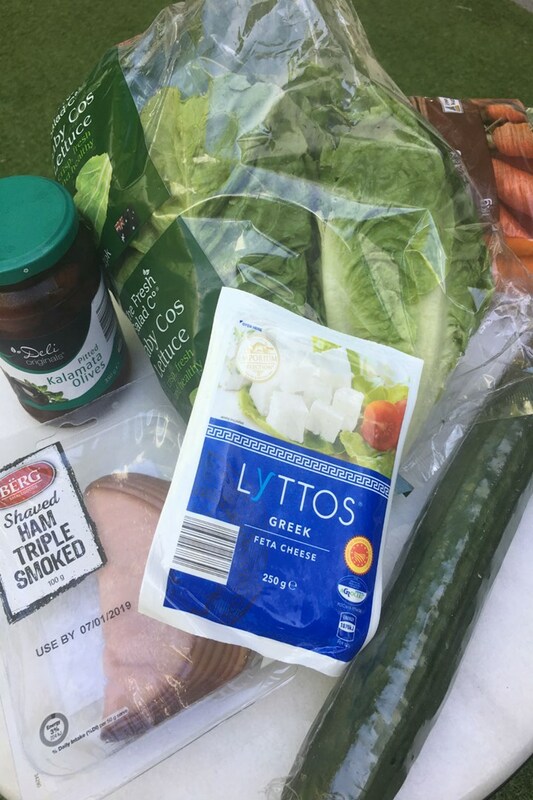 For dinner, it is an easy Greek salad with ham, made up of cos lettuce, carrot, cucumber, olives, feta, and triple smoked ham dressed with olive oil and red wine vinegar. Experts aren’t convinced, with accredited practising dietitian Alex McClelland slamming it as ‘never sustainable’ and ‘extremely repetitive’. “Rapid weight loss with a highly restrictive diet is never sustainable, as we (as humans) generally like to eat a variety of foods over the course of a week,” Alex told Yahoo Lifestyle. Alex was particularly hesitant about the use of meal replacement products which she claims, ‘should not be marketed or suggested for use of rapid weight loss’. “Dinner is very low in carbohydrate and meals likely to be low in carbs often lead to over-compensational intakes particularly of foods/snacks high in added sugars,” Alex added. Would you try this dads Aldi diet? It looks and sounds tempting but yes just another fad. Your body will not cope well with this diet. you will gain weight once you stop. All these diets send your body into starve mode so it stores fat or turns good fats into bad fats I think. Not an expert of course. Another diet that looks a lot like every other fad diet. This is not sustainable. It looked pretty healthy till I got to the meal replacement bar. Could be great if you’re looking for quick results, but an overall healthy and balanced diet combined with exercise would be a much better option. these type of fad diets are always difficult to sustain – eat in balance and find what works for you! Sometimes getting some kilos off the scale quickly is a good way to spur you on to eating more healthily. I think if it’s for a short time it’s probably no worse than binge eating like some people do. No way would I do this – I’d try to see why I was gaining weight first and cut out the unhealthy foods I was eating first. Then I would eat responsibly. I couldn’t eat the same thing every day. I’d get bored and start eating stupidly. I could do it every 2nd day. Sounds boring to me. I think you need to eat a variety of foods to get adequate nutrition. I guess you just have to do what is right for you. I think its important to have lots of variety and nutrition in your diet. I love that it’s working for him but I’m finally learning that fad diets aren’t sustainable in the long term. It is already hard enough at times making the meals for this family without adding something like this to it. Maybe ok for a short term loss to help start you off losing weight but not something you can live with for too long. Great for Aldi free advertising, I wonder if they paid him? I do not think it is healthy, he is just eating less that is all, and once you stop you will put the weight back on, also it is not covering all nutrients so not good long term. There are better ways to lose weight and keep it off, go to forksoverknives.com and learn about how people changed their lives on plant based diets. Well it is actually not a diet but a long term way of eating, and more sustainable.